It’s hard to resist the idea of a guide to Ulysses endorsed by Joyce himself, but at times I wondered if Joyce’s approval of this book may have been a joke in itself. I’m almost certain that he parodied Gilbert’s pedantic and tiresome style somewhere in Ulysses. 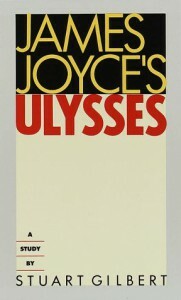 This book seems to be mostly a series of long quotations from the novel, which I’m sure were worth including initially since this book was published before Ulysses was available to most readers due to censorship, but it’s repetitive, and Gilbert often doesn’t add much to the text of the novel itself. The long unspoken monologue of Mrs Bloom which closes the book . . . might in its utterly convincing realism be an actual document, the magical record of inmost thought by a woman that existed. Talk about understanding ‘feminine psychology’! I’m glad Gilbert and his buddies seem to have figured out how all women think, apparently just by unlocking the feminine mind with Molly Bloom’s magical key. I like the “Penelope” chapter very much, but not because I think Joyce succinctly sums up the thoughts of all women. 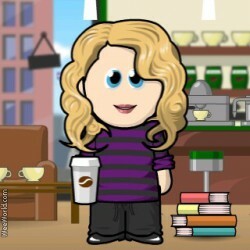 Instead he creates a nuanced and multilayered picture of Molly herself. It’s frustrating to read an analysis where the male characters get to be multidimensional individuals, but the female characters (and readers) have to be archetypes and stereotypes. I don’t think that at all reflects what Joyce actually did in Ulysses. Ranting aside, Gilbert does offer some useful information in his study. He lays out the structural scheme of the novel, breaking down the episodes and their art, colors, symbols, etc. He also expands on the many mythological references. Readers today, though, are lucky enough to have access to the actual novel, which is a lot more fun to read than this book.